Great project to help students understand the concept of Human Rights....I like to use this during Black History Month. Students will look up appropriate Bible verses then create a poster visually depicting Human Rights. 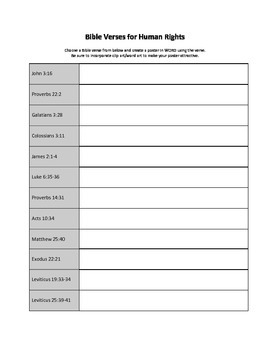 NOTE: This resource is Christian based. Public School teachers may not want to use.